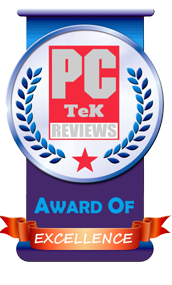 18 August, 2018 Rakesh Sharma Reviews . 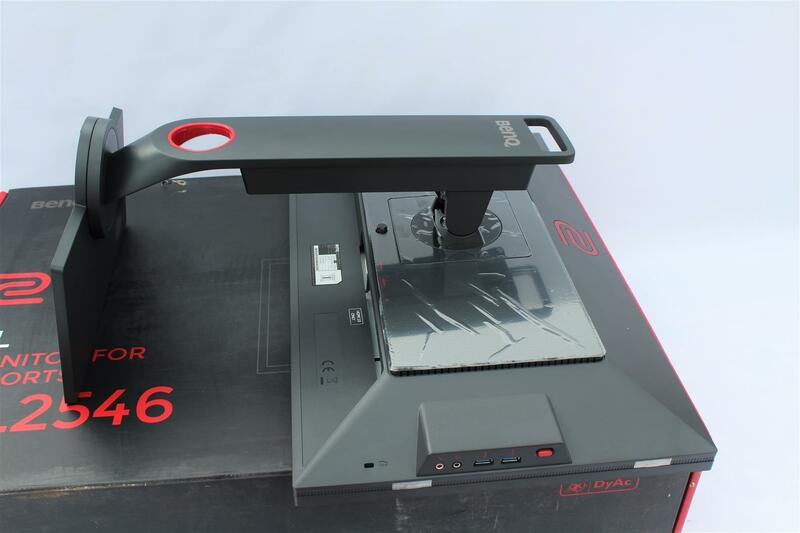 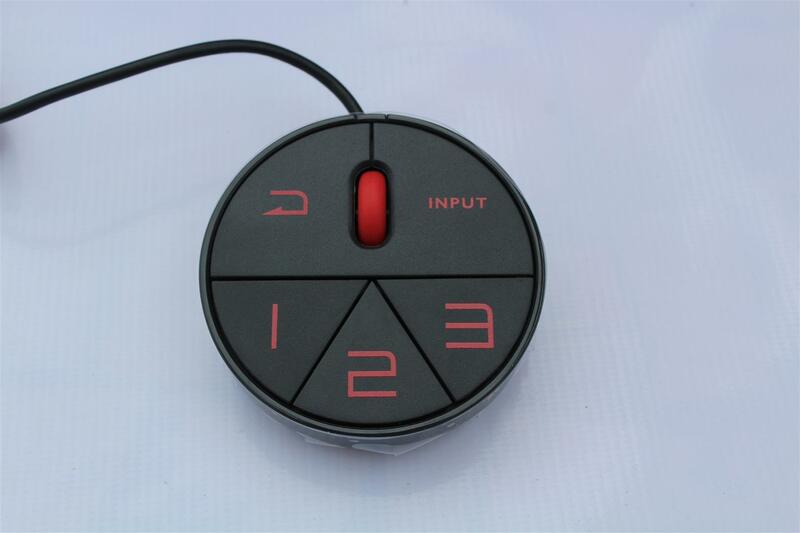 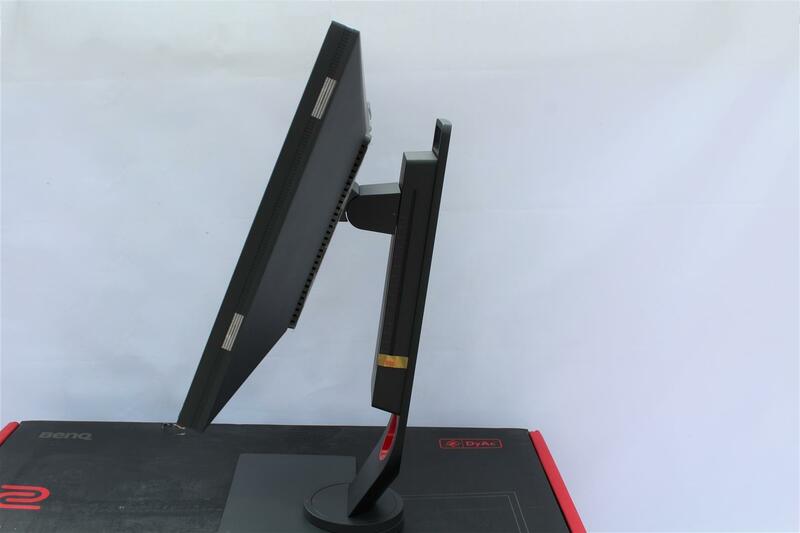 We have reviewed lot of PC gaming products meant for gaming fun and enjoyable gaming experience. 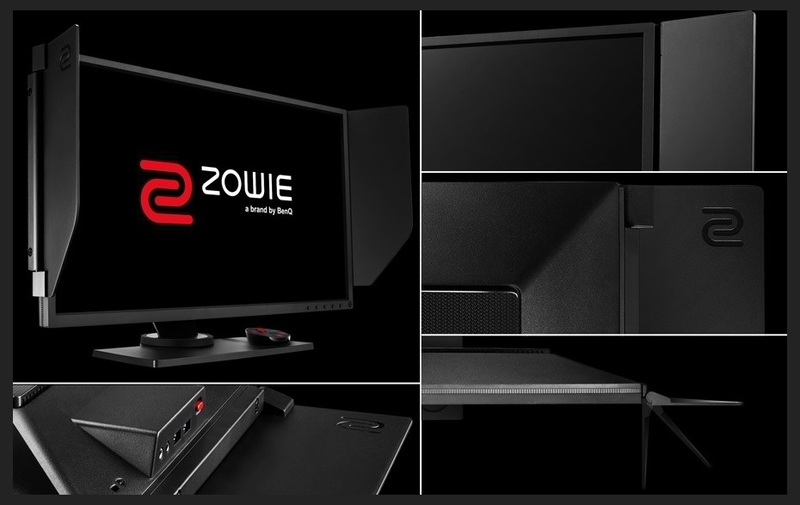 Today we are reviewing one unique gaming product specially made for gamers who want to upscale their gaming from fun to professional level. 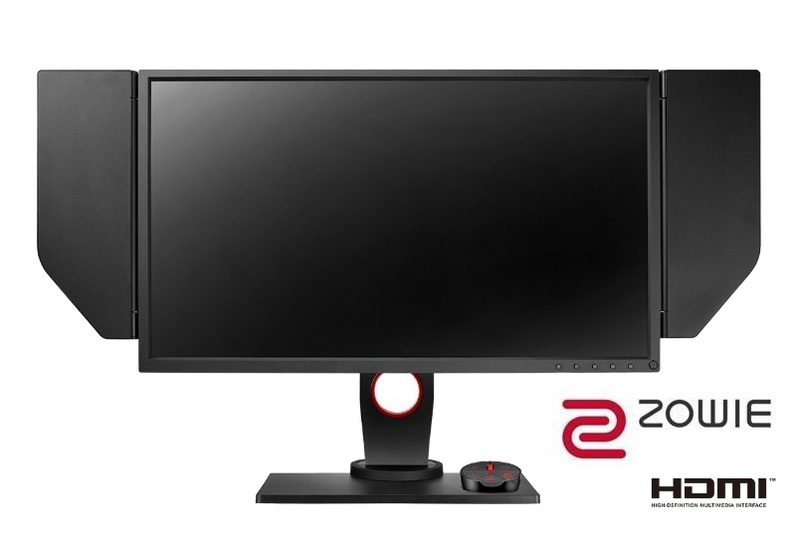 The BenQ Zowie XL2546 Monitor, targeted for E-Sports Gamers with its 240Hz refresh rate and DyAc (Dynamic Accuracy) technology which helps gamers by providing clear and detailed in-game view during a fast gaming movements. 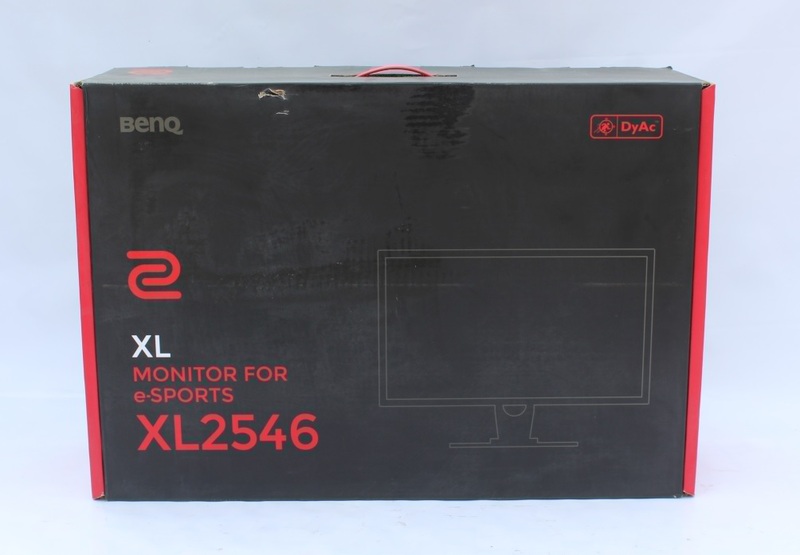 The BenQ XL-series are now seen in many major E-Sports tournaments like PUBG GLOBAL INVITATIONAL 2018, Asia eXTREMESLAND 2018 – CS GO tournament and more. 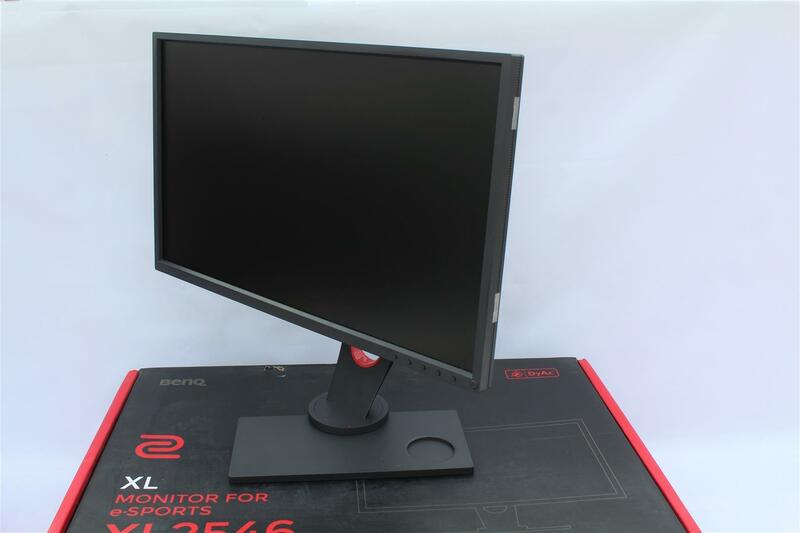 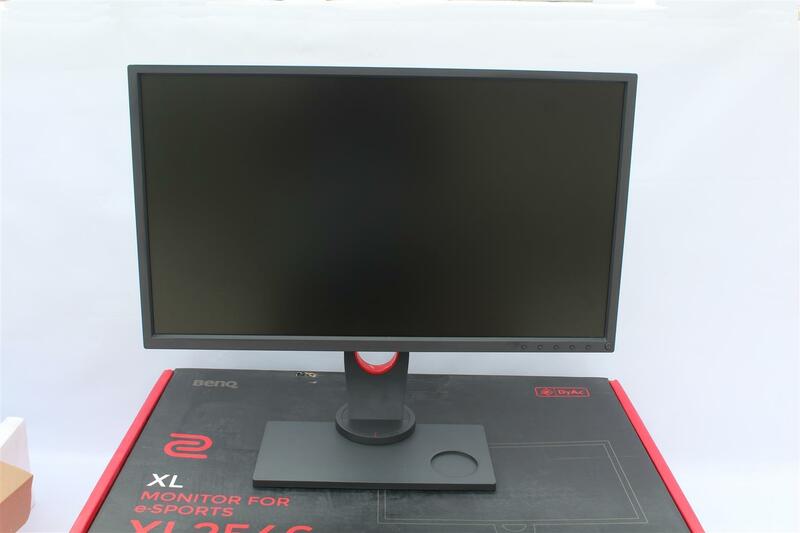 Now let’s see what this BenQ Zowie XL2546 Monitor has more to offer. 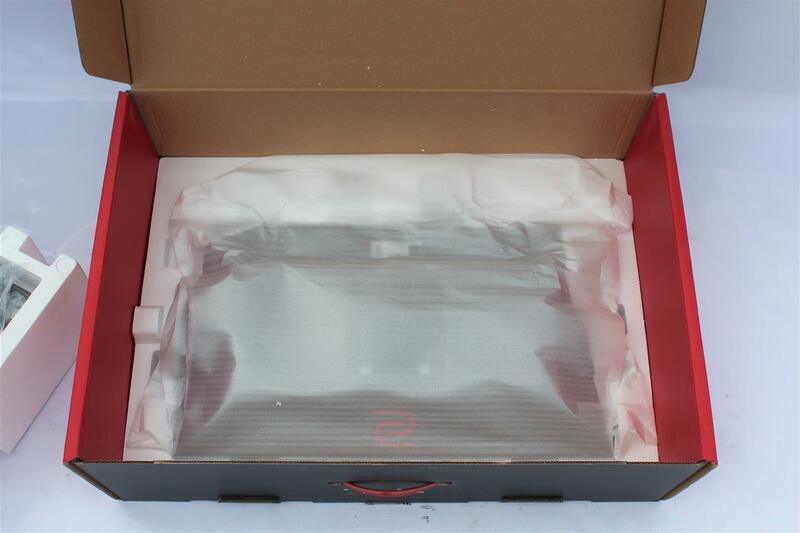 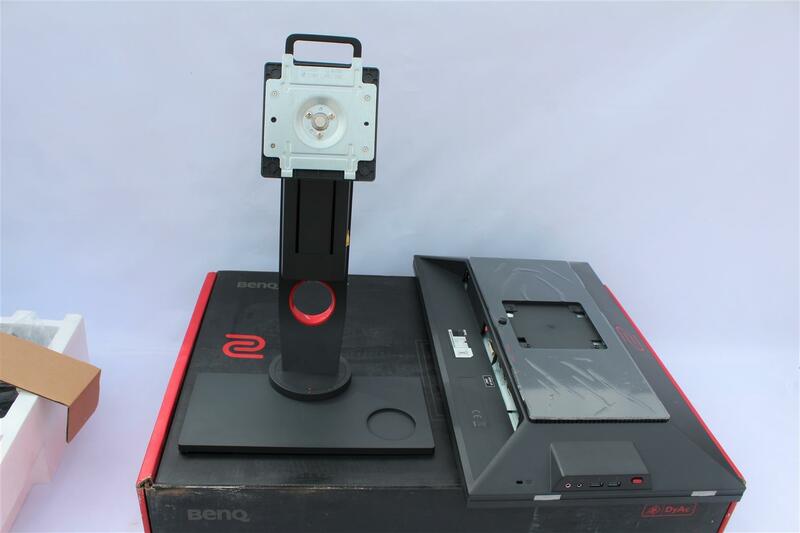 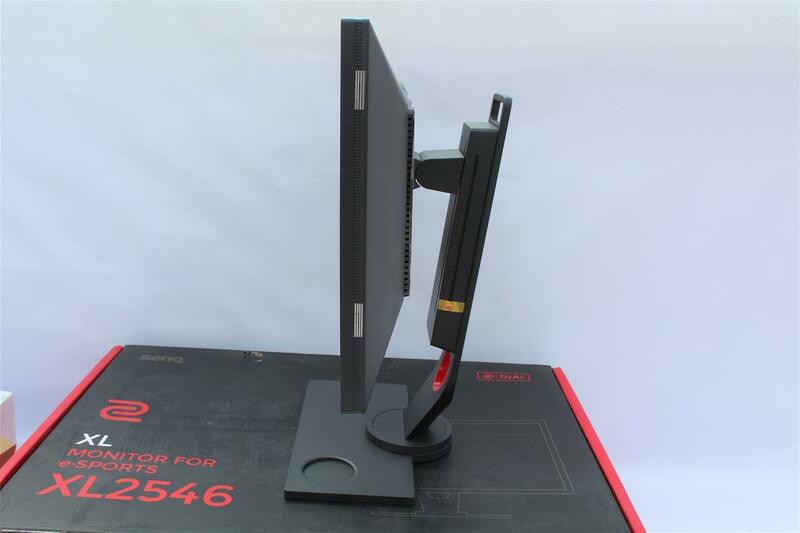 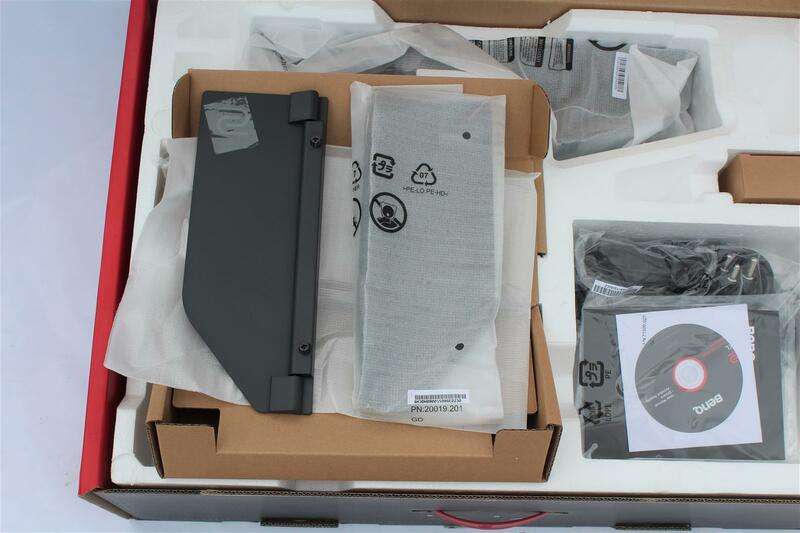 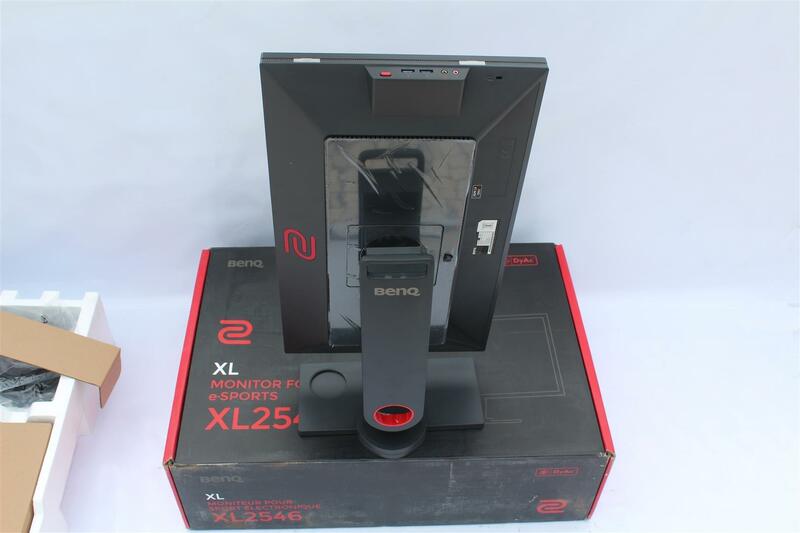 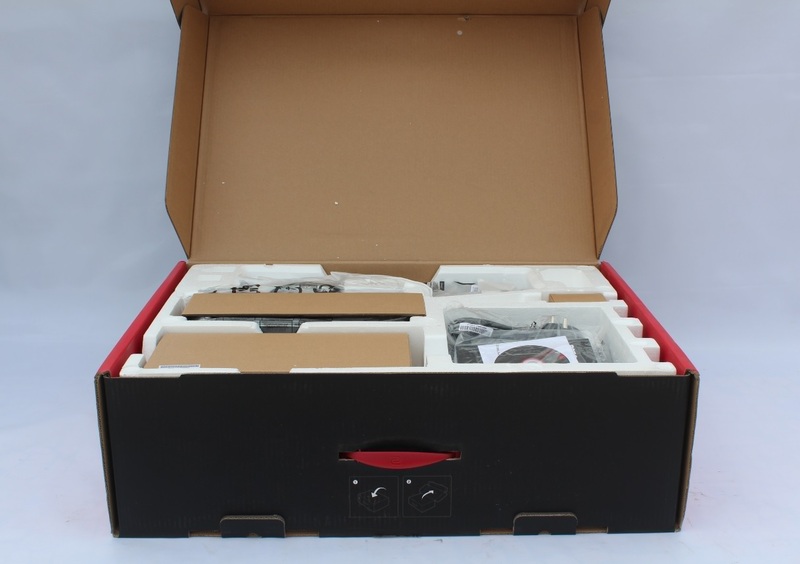 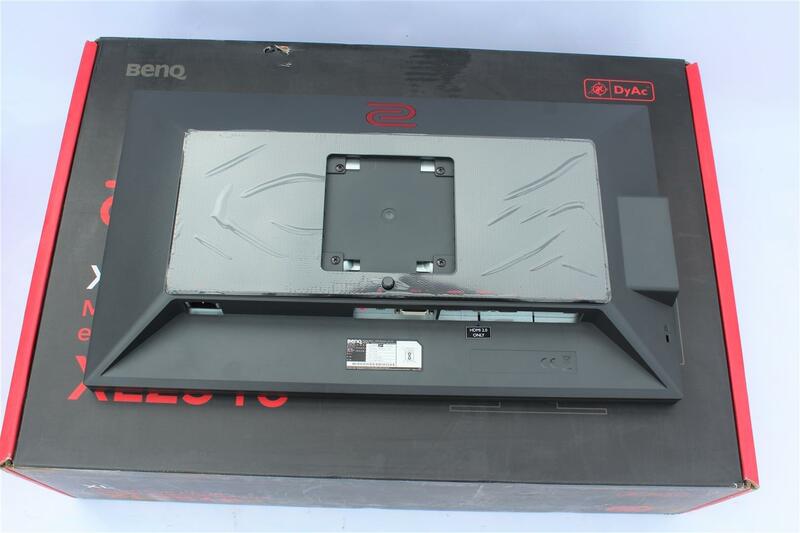 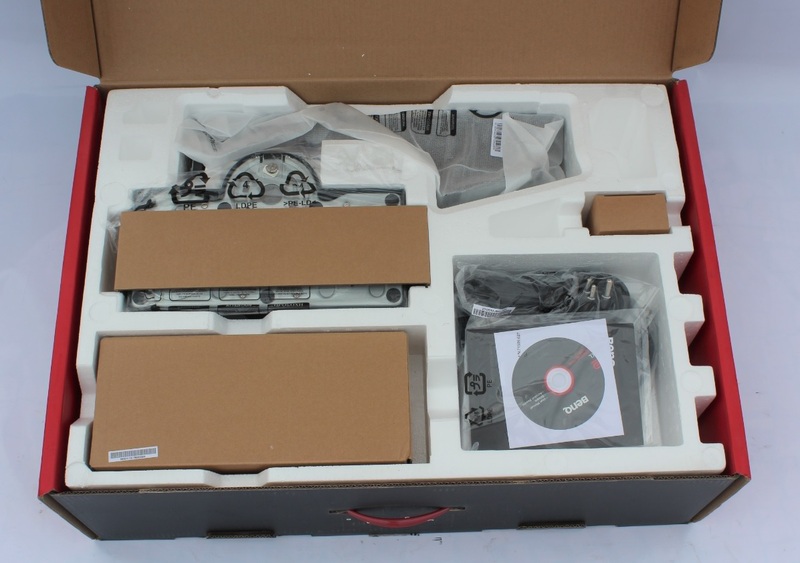 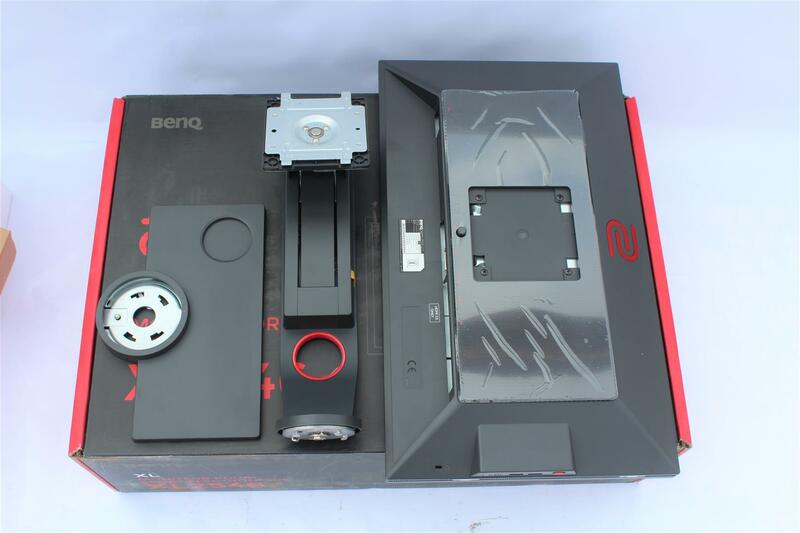 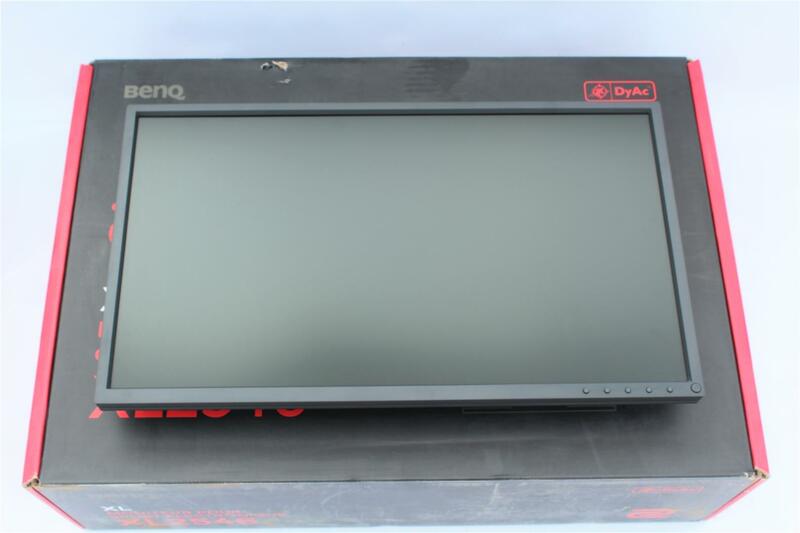 BenQ XL2546 Monitor comes in a big box securely packaged with product image line-out and model name on front and the back of the box. 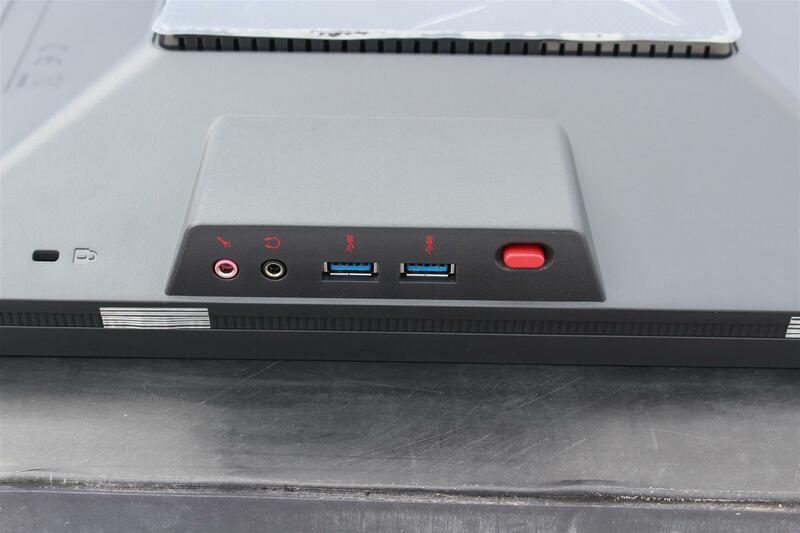 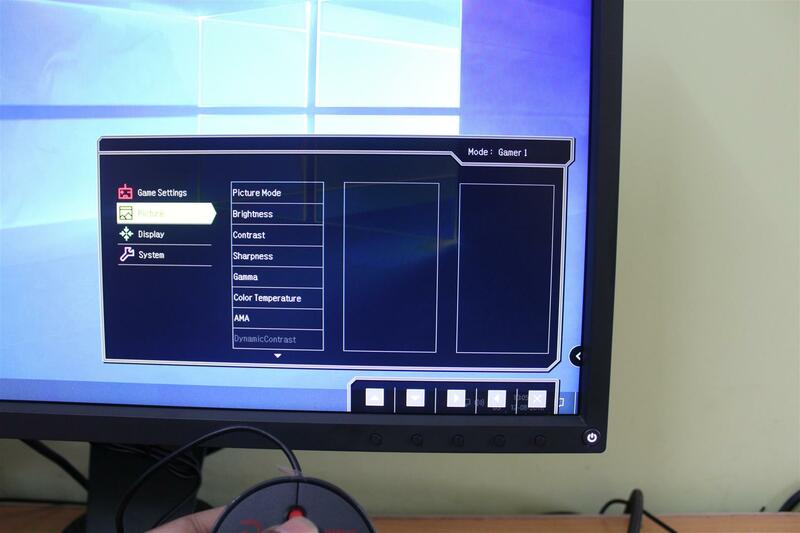 Installation was very easy, connected the power cable and Display port cable to the PC. 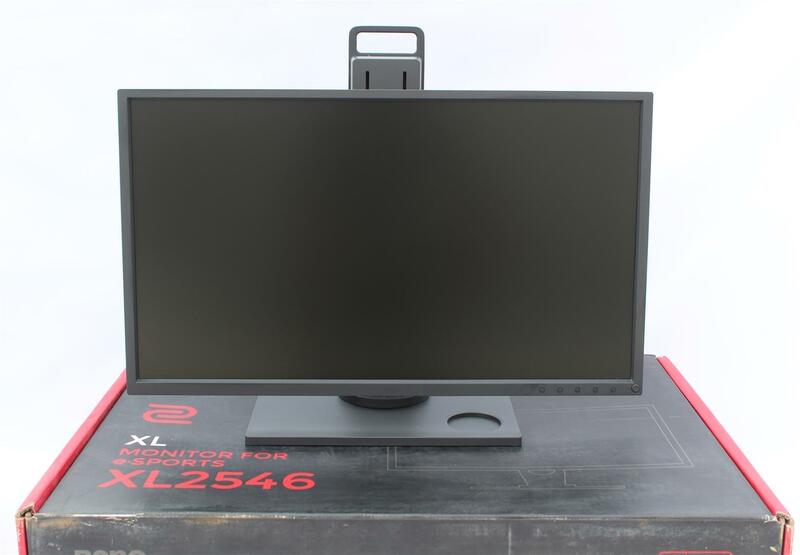 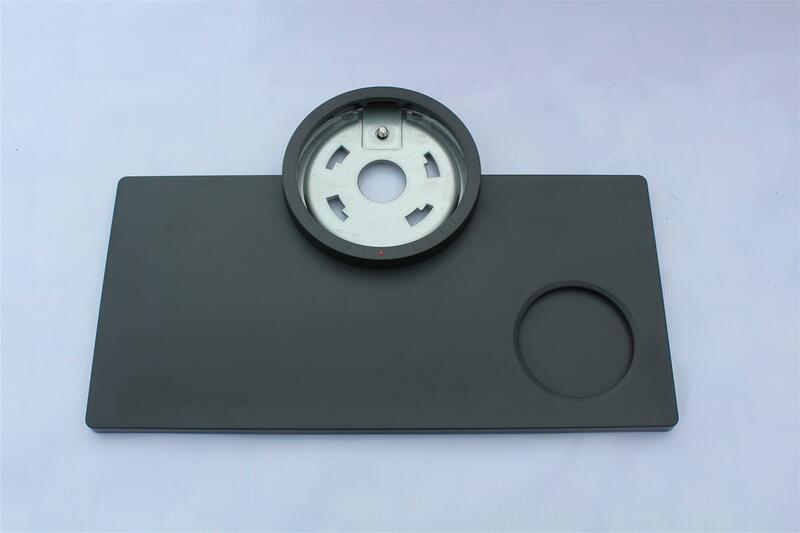 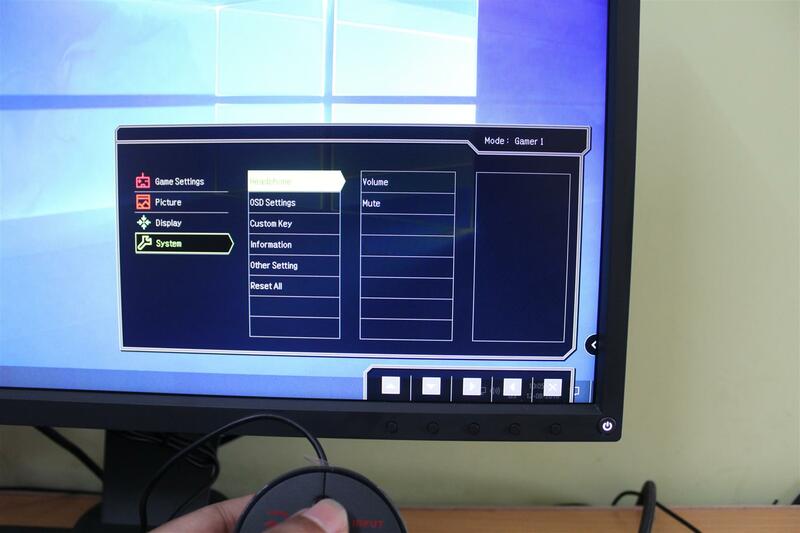 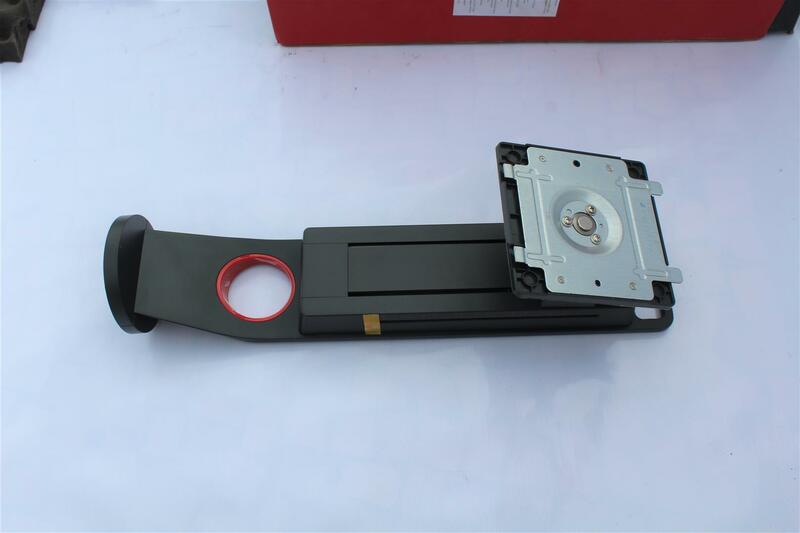 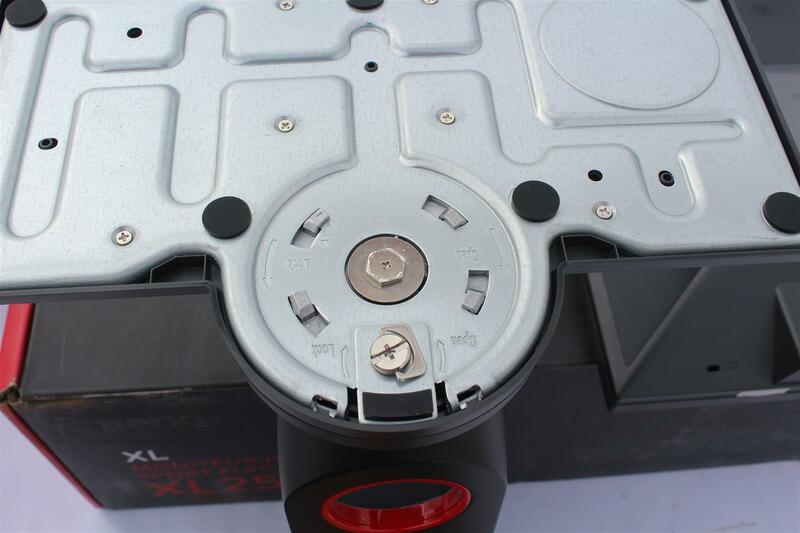 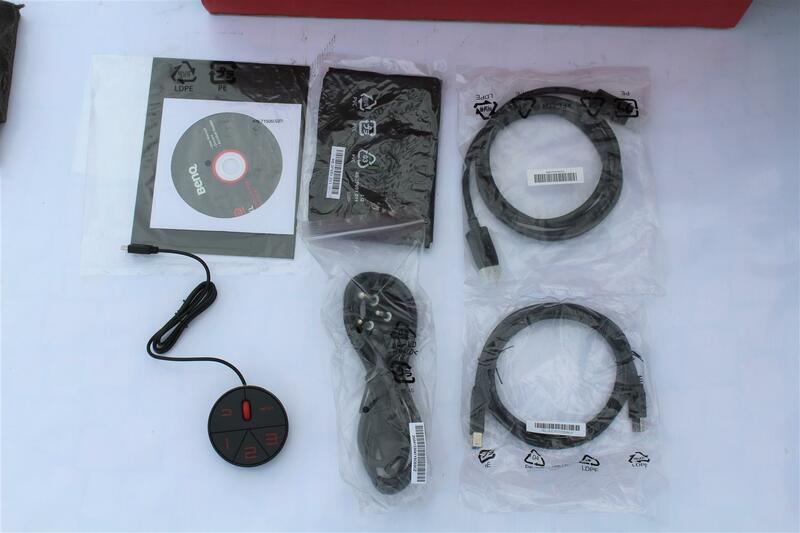 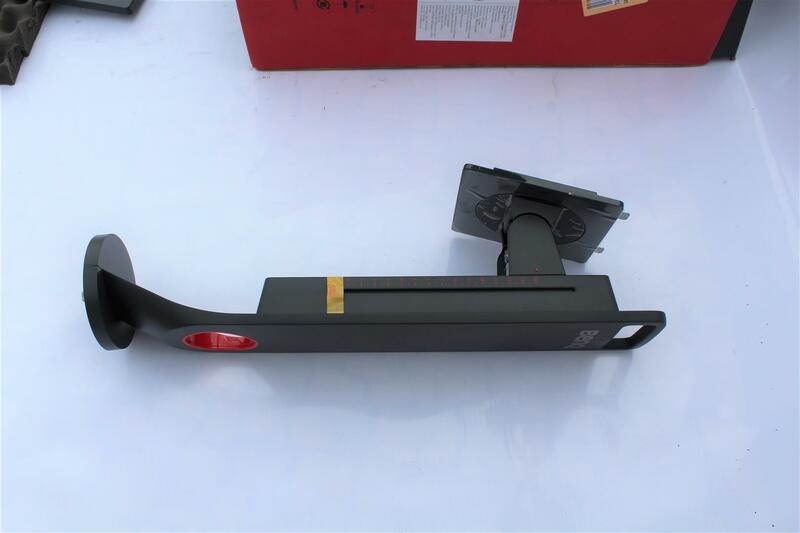 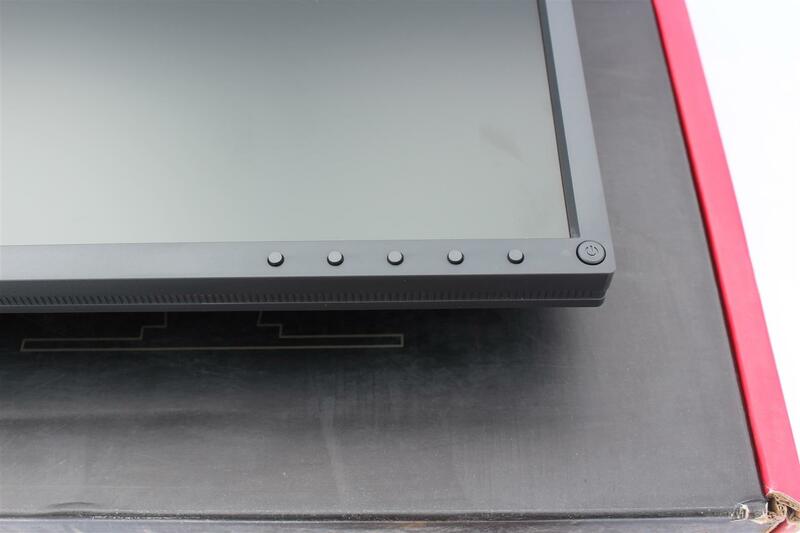 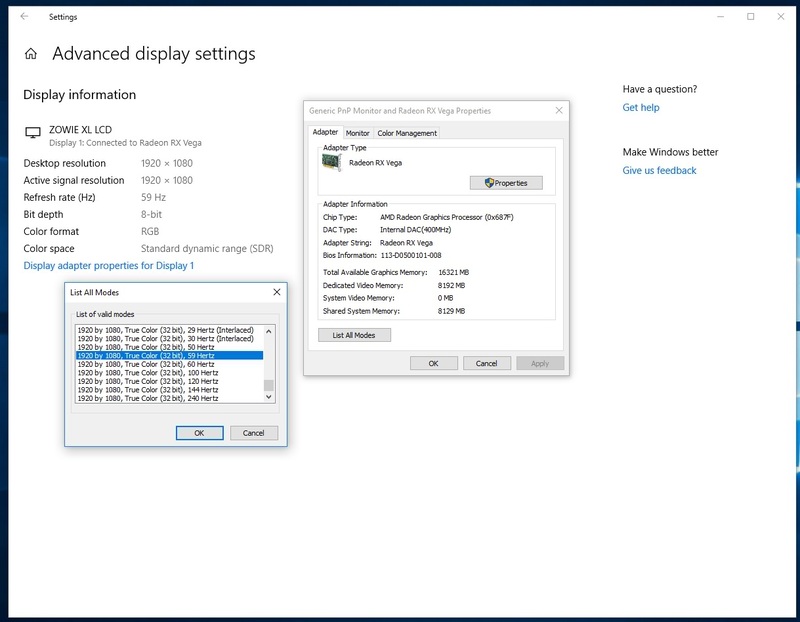 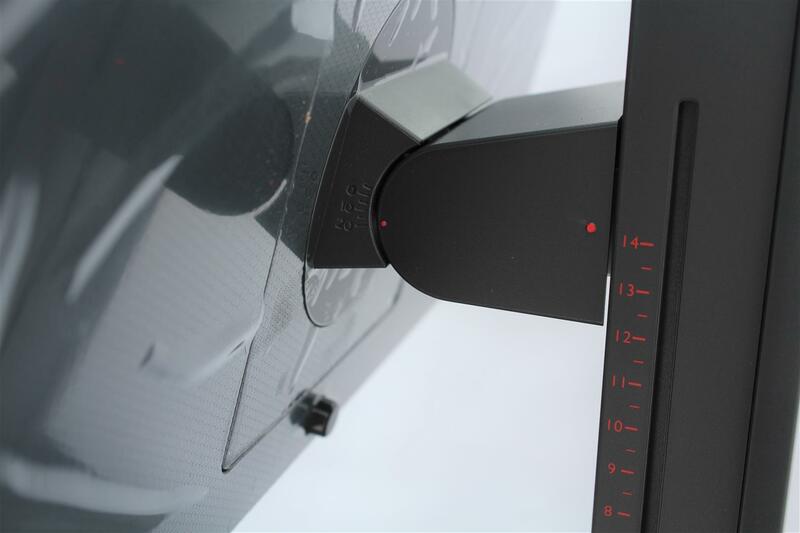 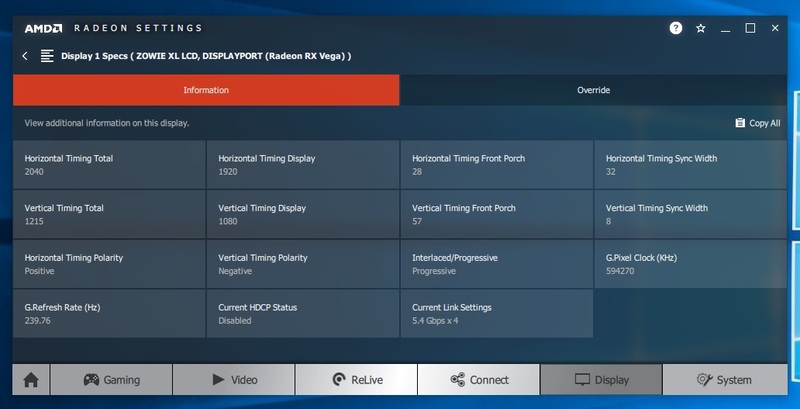 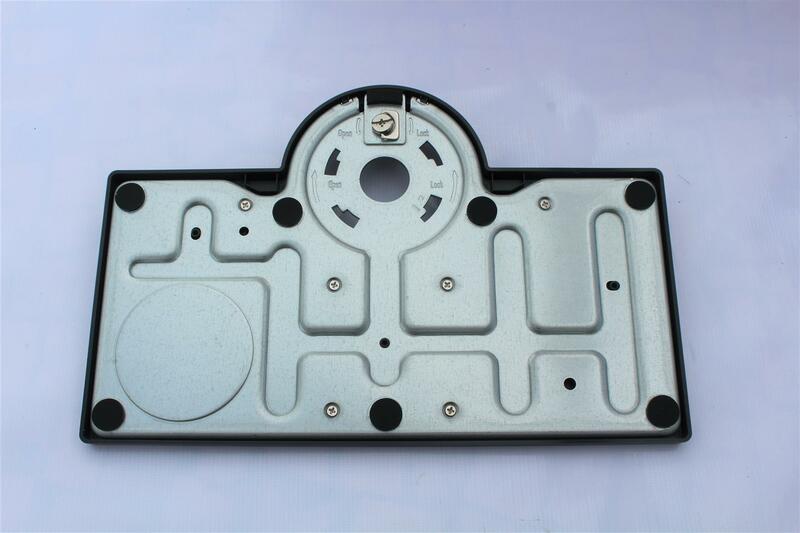 Open the Advance display setting and select 240Hx refresh rate mode. 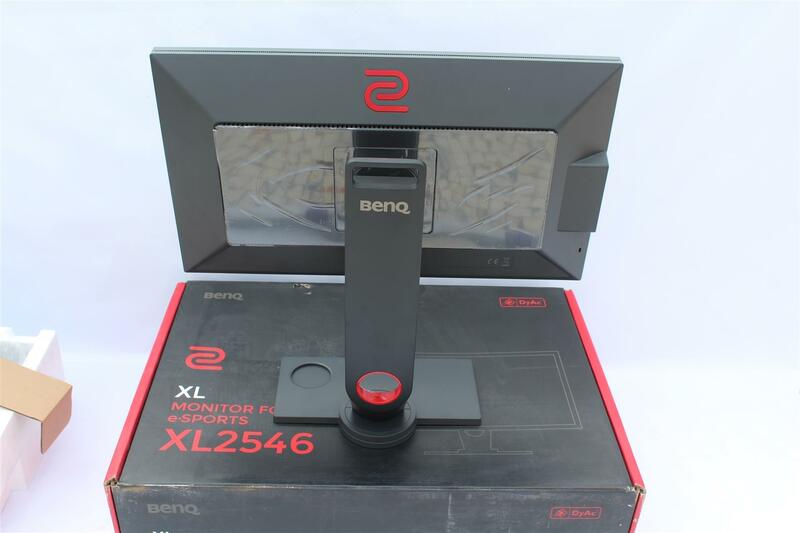 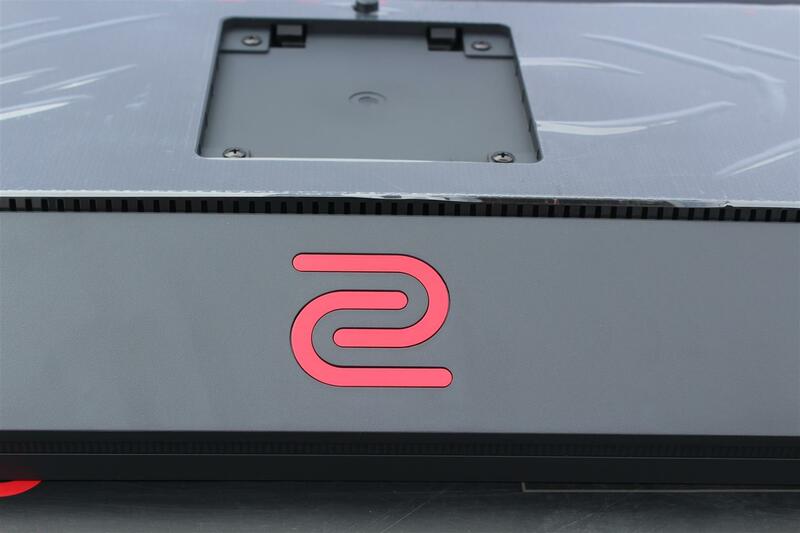 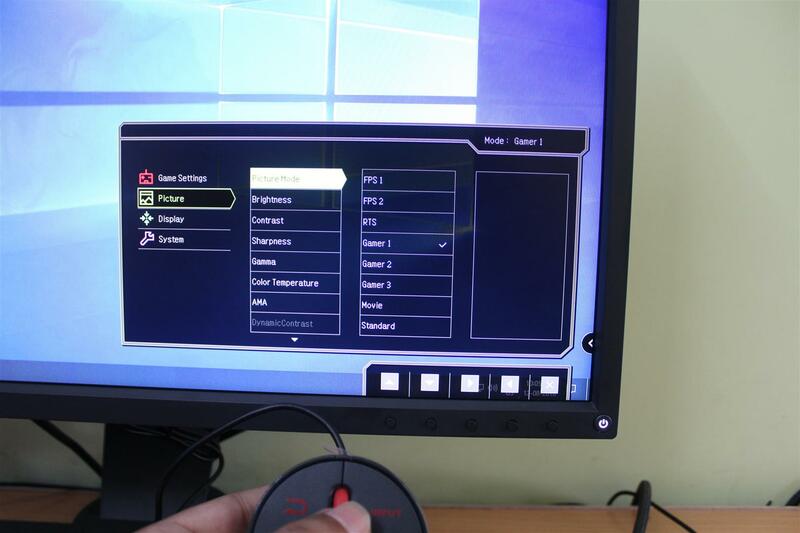 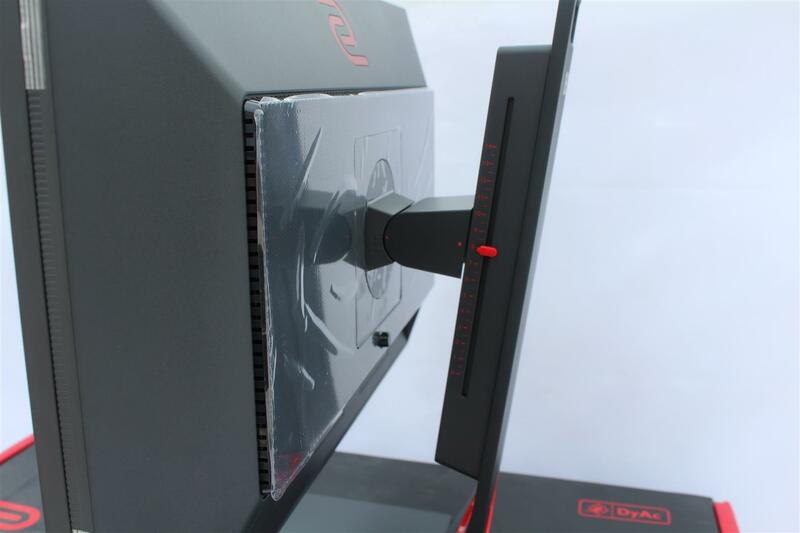 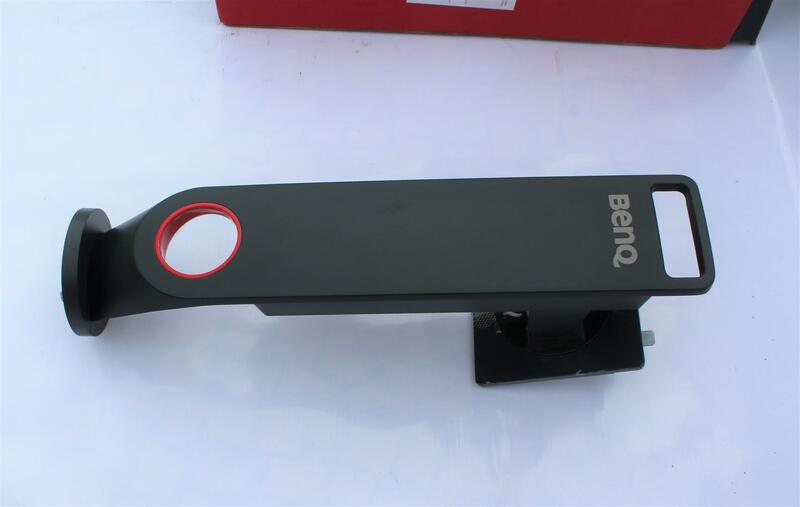 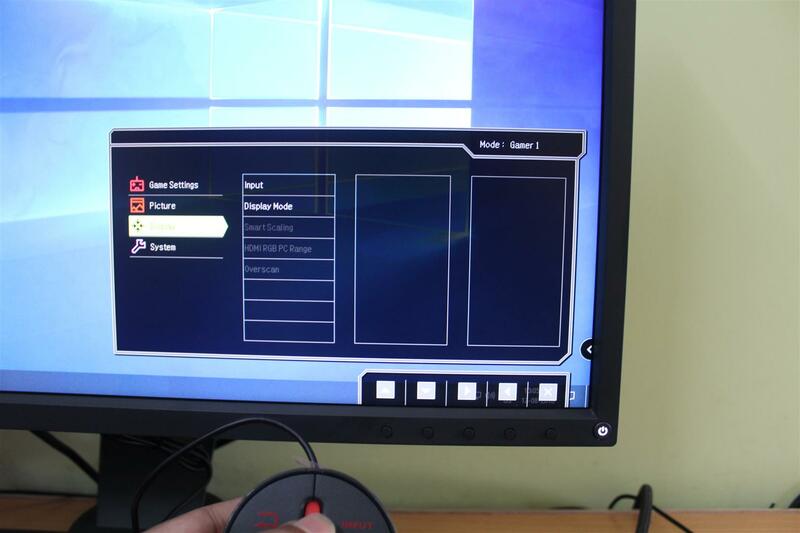 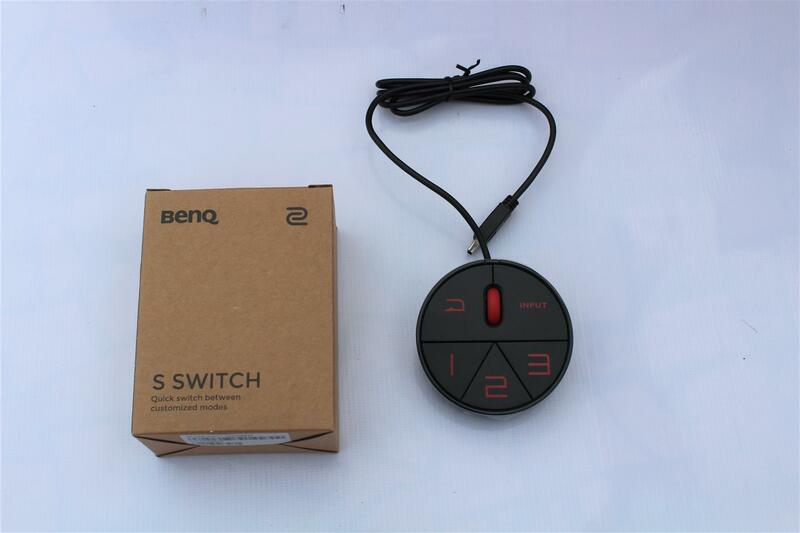 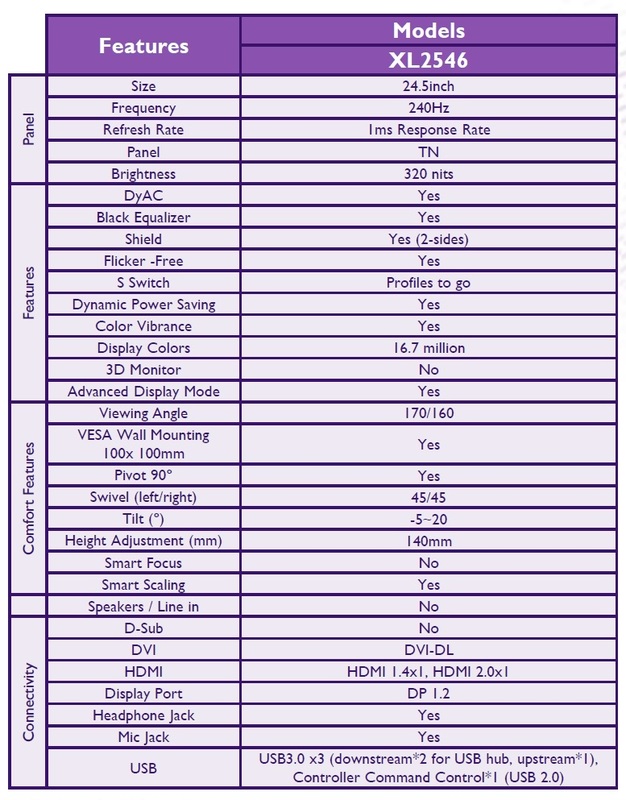 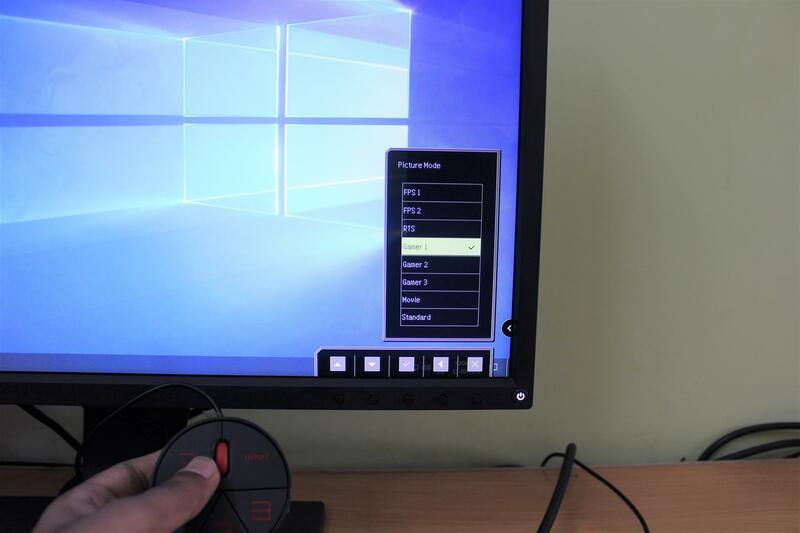 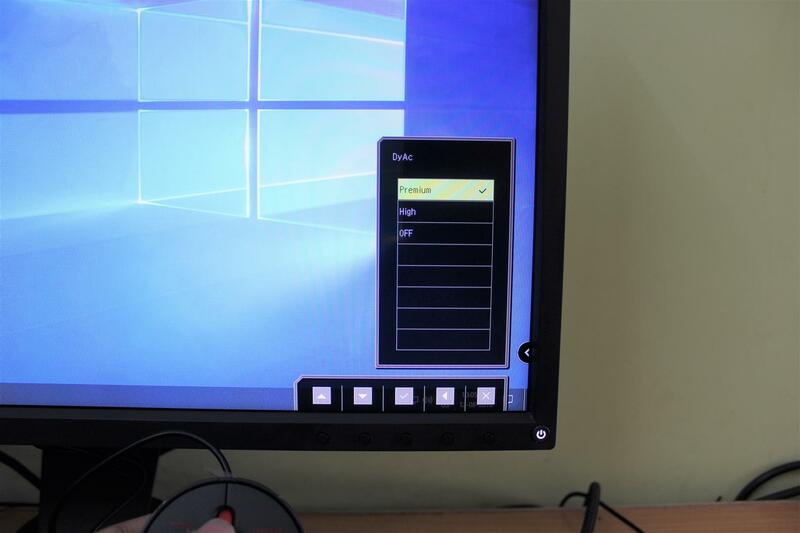 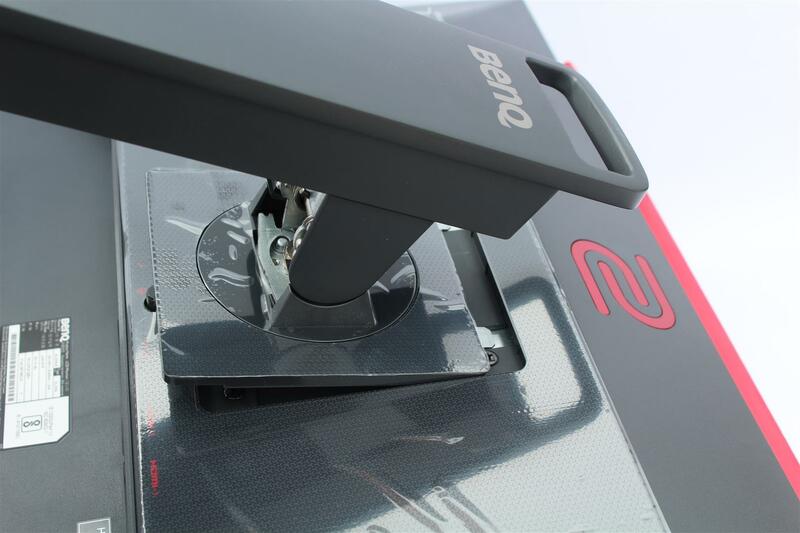 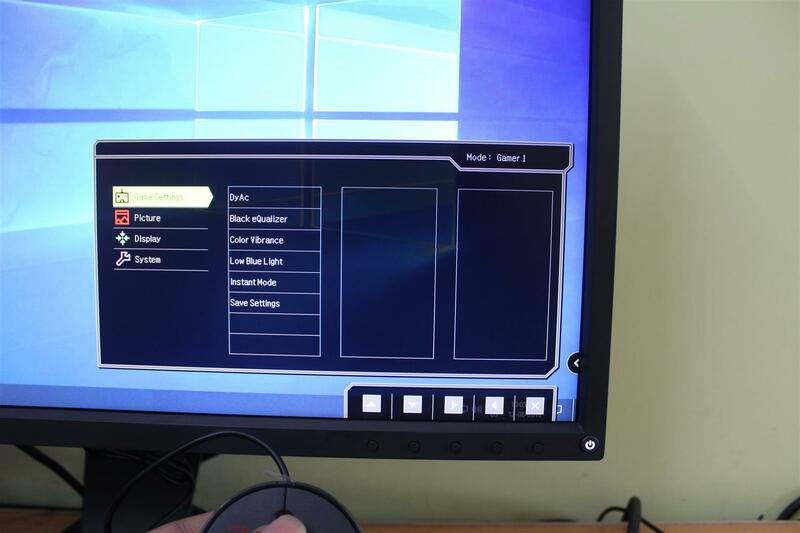 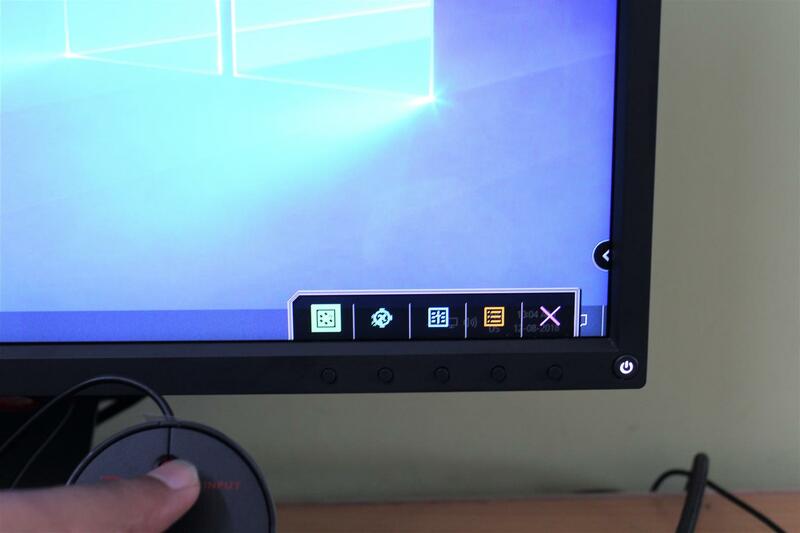 Only FPS competitive games allows the BenQ Zowie XL2546 240Hz Monitor to show its full strength. 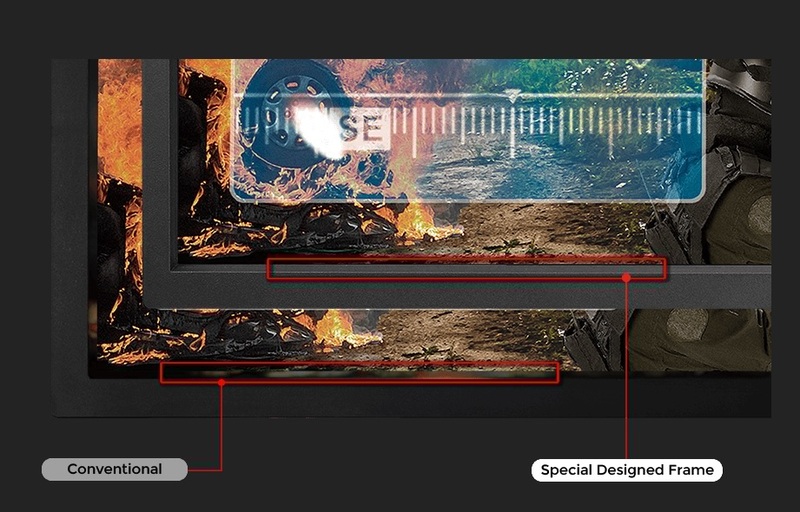 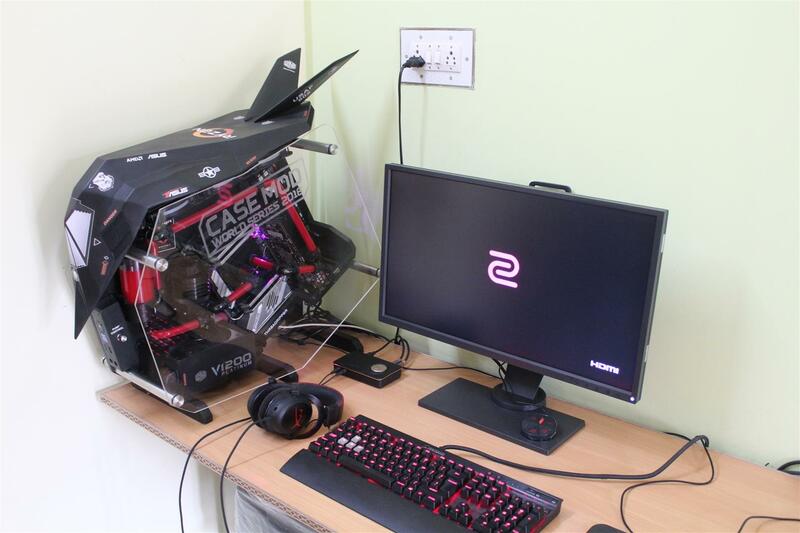 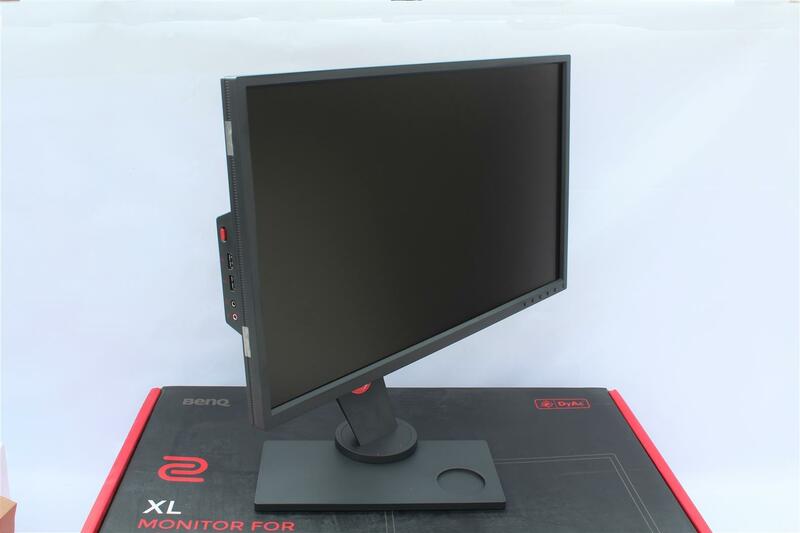 That’s the reason this monitor is the number one choice of E-Sports gamers and tournaments. 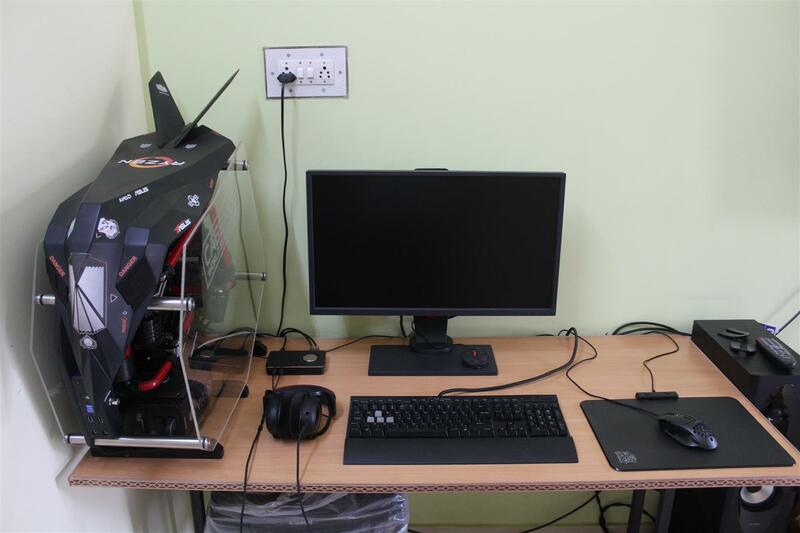 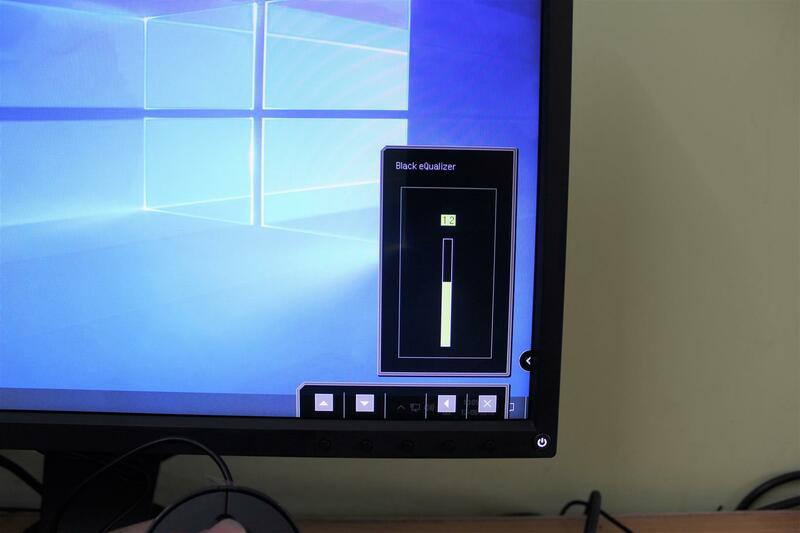 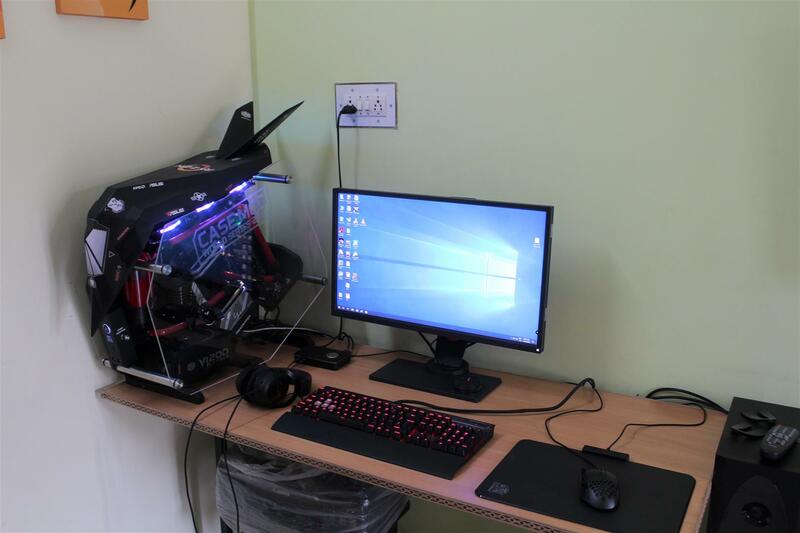 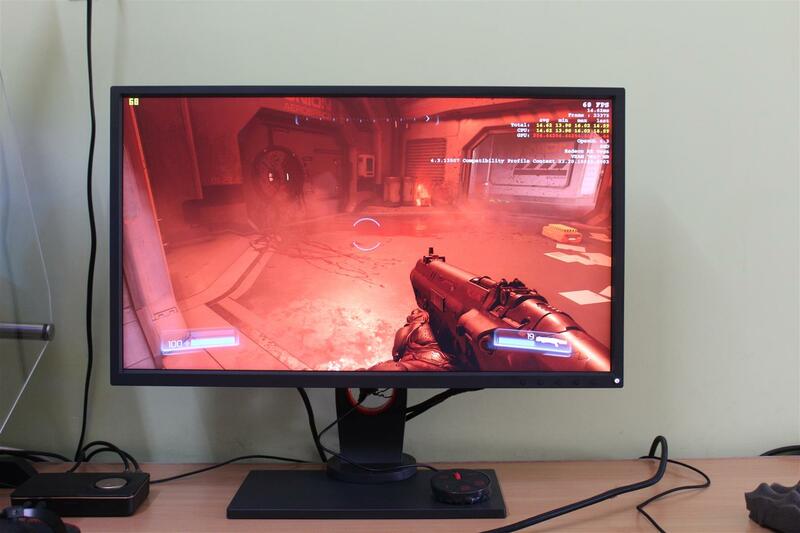 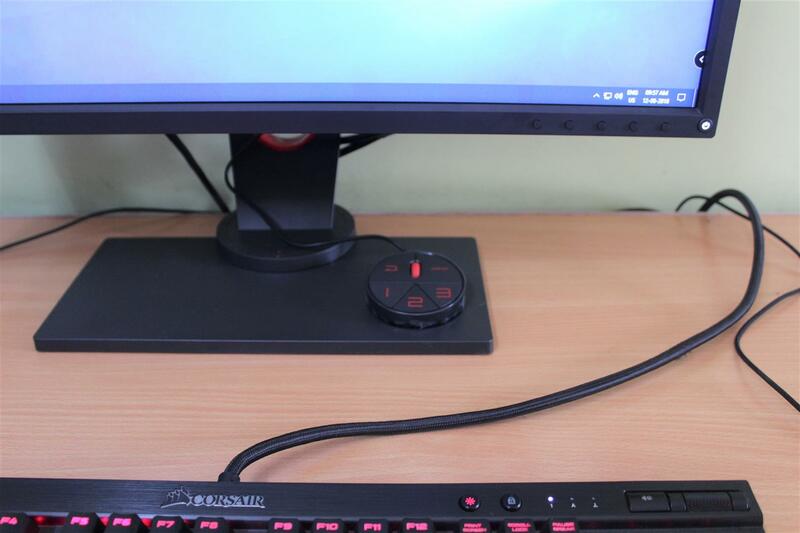 CS:GO is one such game, but I don’t play CS:GO much, so I chose DOOM 2016, which I played a lot on 60Hz monitor and now switching to this 240Hz monitor, I found that fast in-game actions on 60Hz use to produce little motion blur and slight ghosting but with the BenQ Zowie XL2546 monitor game play is more smooth and sharp. 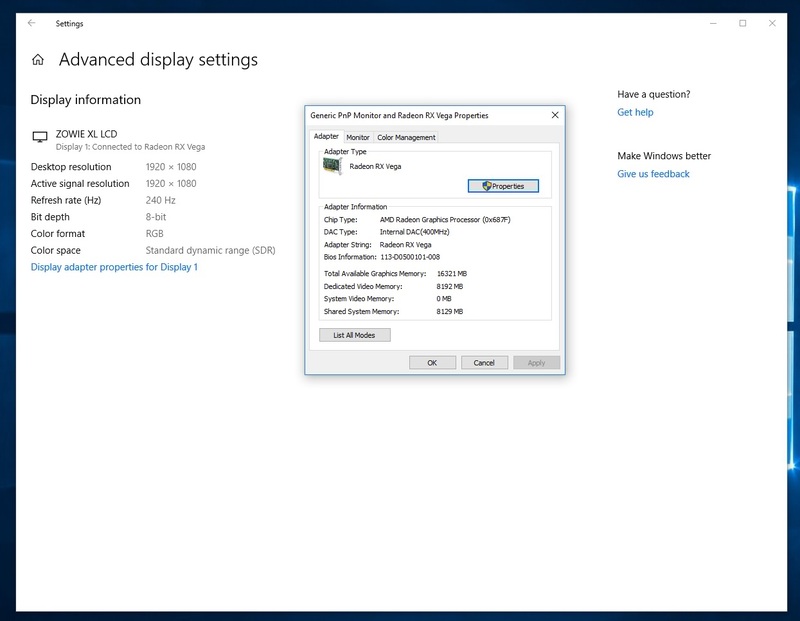 Never had such a great gaming experience on 60Hz displays. 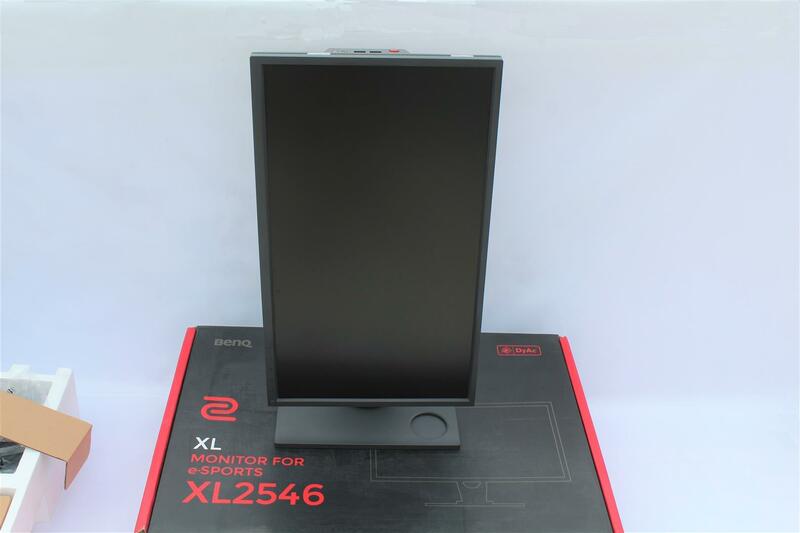 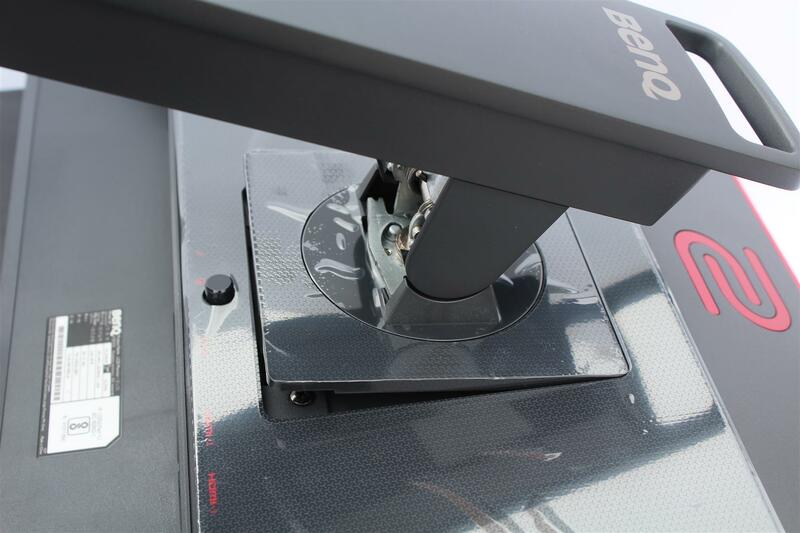 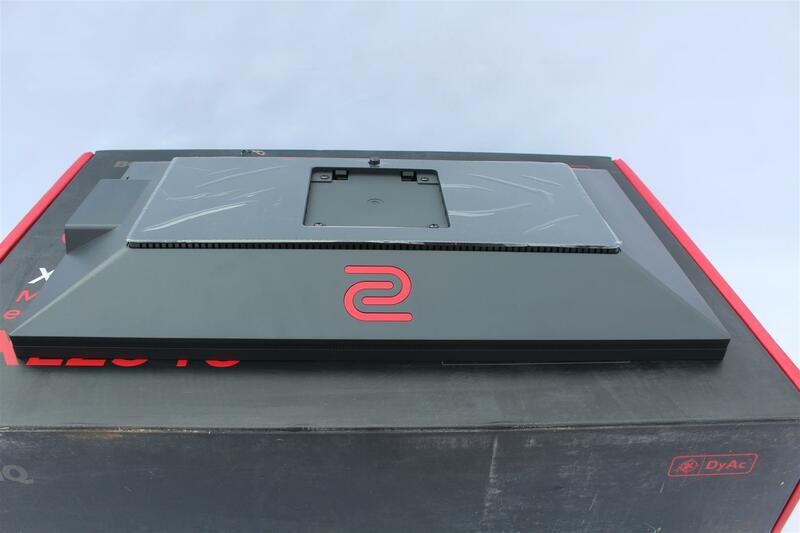 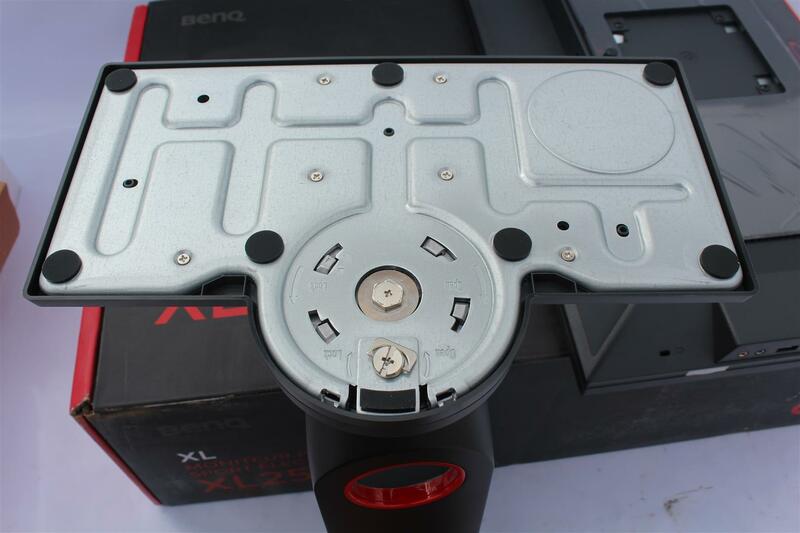 BenQ Zowie XL2546 Monitor is purely made for tournament gamers in mind, so the colour accuracy and view angle of this panel is not as good as professional level monitors. 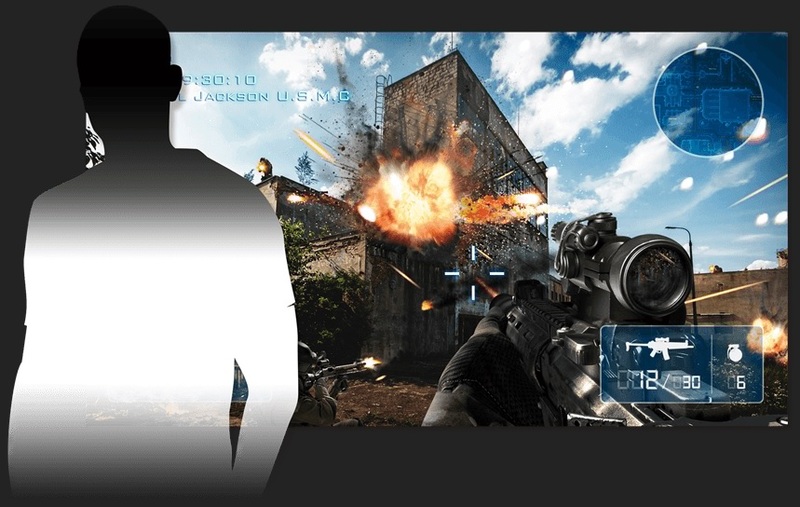 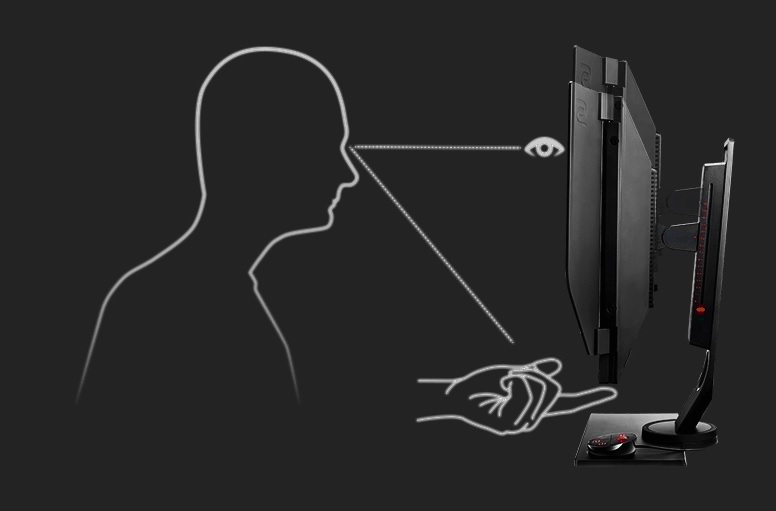 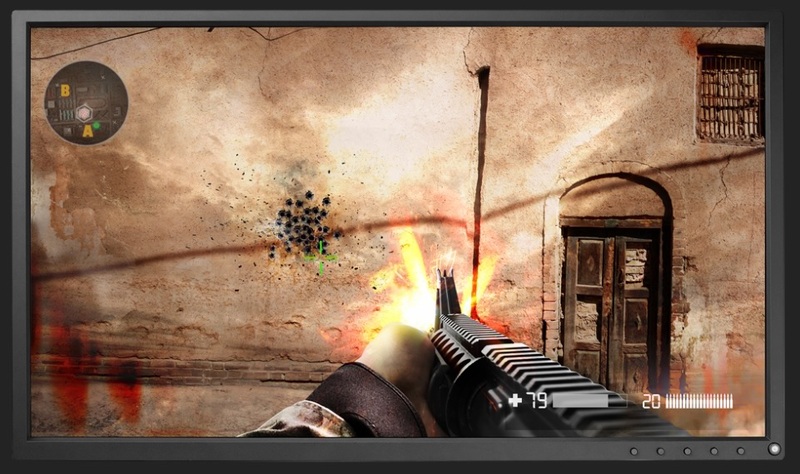 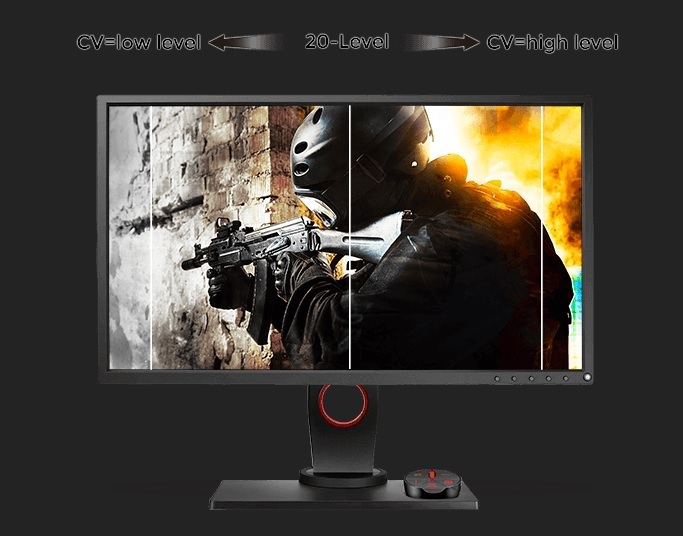 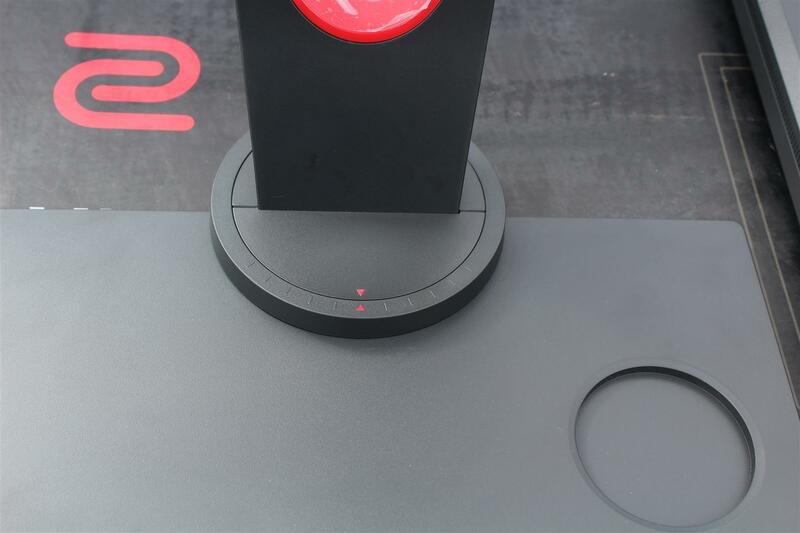 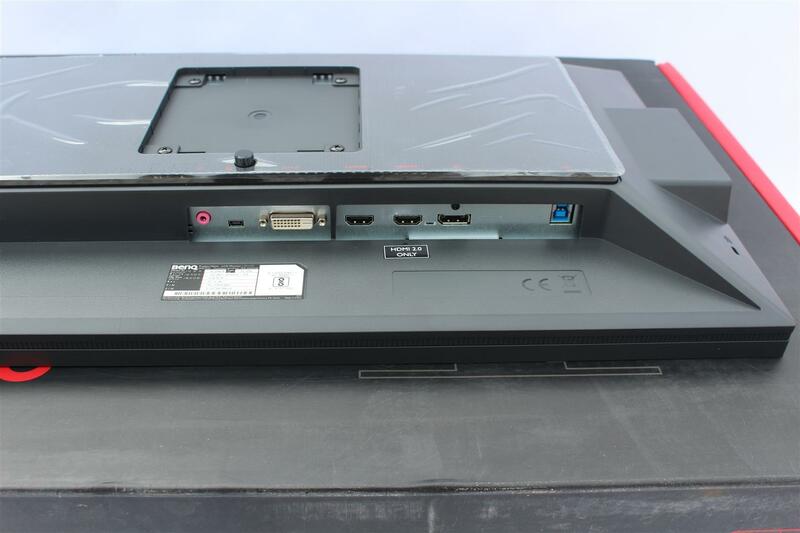 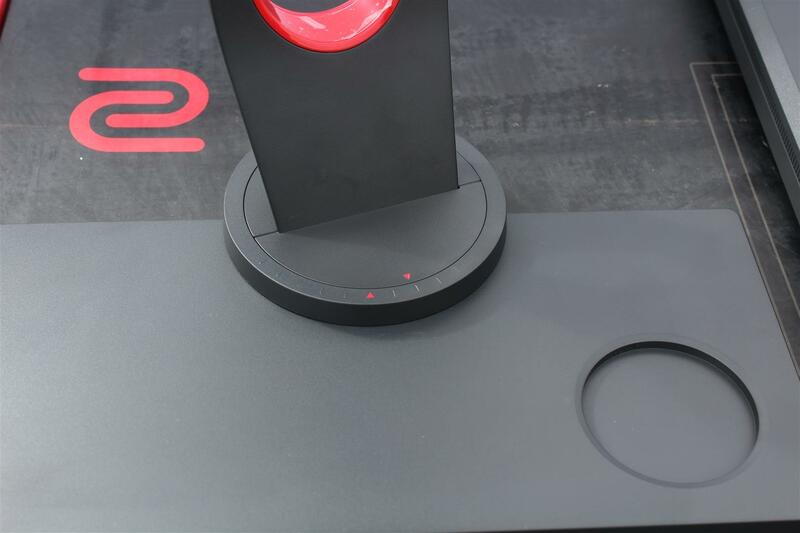 But the colour accuracy is not a big deal for gamers as with the Black eQualizer feature in this Zowie XL2546 Monitor will brighten up the dark in-game area, without over-exposing the white area making it easier to spot the enemies who are hidden in dark, thus giving the gamer an upper hand. 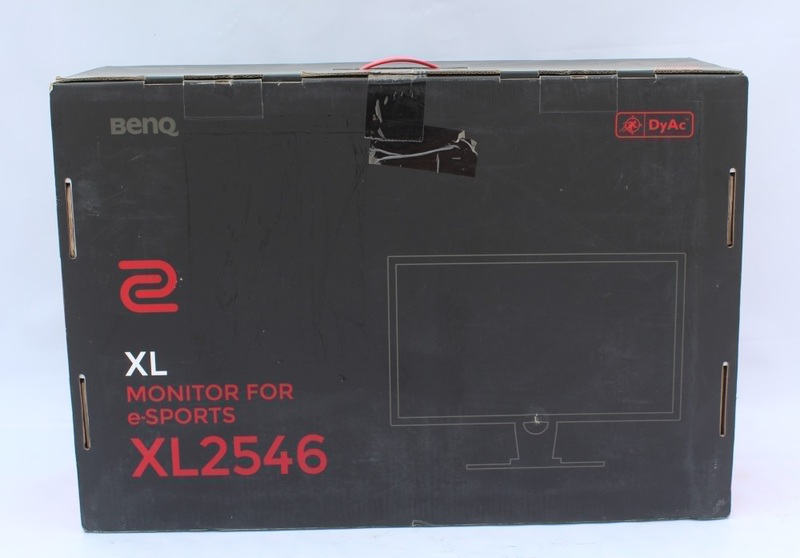 Along with other gamer-oriented features like 240Hz refresh rate, DyAc, Shield, Color Vibrance makes BenQ Zowie XL2546 Monitor the best choice for FPS competitive gamers and worthy of our PC TeK Reviews Excellence Award.